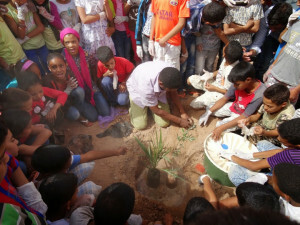 Plant a BABY tree and receive a Sahara-Roots Tree-planting Certificate!! Donate a tree for just 10 EURO!! It is possible to plant trees without your presence as we will take care that they are planted in the designated areas. Donate a Groasis Waterboxx with 2 trees for Euro 40. Included is transportation of the waterboxx from The Netherlands and tree care-taking for 1 year. This booklet is for sale for Euro 10 plus postal costs.